This episode features a discussion with Jon Kristiansen and Tara G. Warrior talking about their book Metalion: The Slayer Mag Diaries (Bazillion Points Publishers). Jon started Slayer Mag in Norway in 1985 and put out 20 issues over the span of 25 years. The zine covered a variety of extreme metal bands, including Emperor, Slayer, Kreator, Nihilist, Celtic Frost, Bathory, Cathedral, Entombed, Morbid, Napalm Death, and more. 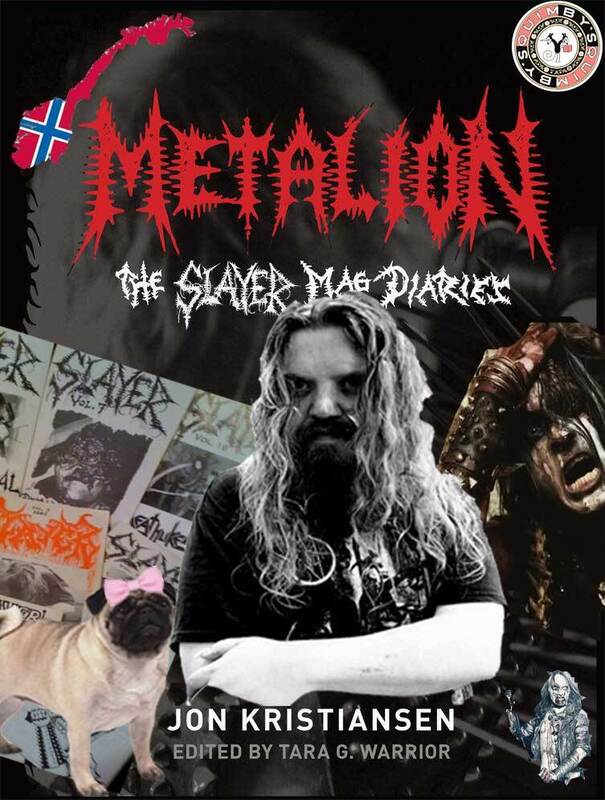 The Onion AV club called Slayer zine founder Jon Kristiansen “one of the best primary sources for facts and stories about Mayhem, Varg, and what really happened back in the day." The Chicago Reader called this book "a chronicle of death and black metal at their births but also a personal coming-of-age story." It's an awesome 744 page hardcover with tons of pictures and reproduction pages from every issue, and there's even material from the precursor Live Wire zine. It's also part memoir. Co-editor Tara interviewed Jon all about his experiences with the zine, and then together they decided what to include. Yes, we have it at Quimby's. It is $39.95. Jon and Tara were at Quimby's for a Chicago release event for the book on 6/8/11. But we conducted this interview in our dark and creepy basement beforehand. Quimby's Bookstore is at 1854 W. North Ave, Chicago, IL 60622. Or find us on the web at quimbys.com.